Finally at the beautiful Lakes District National Park in Cumbria, UK! Honestly wasn't really sure if I could ever post these shots here. 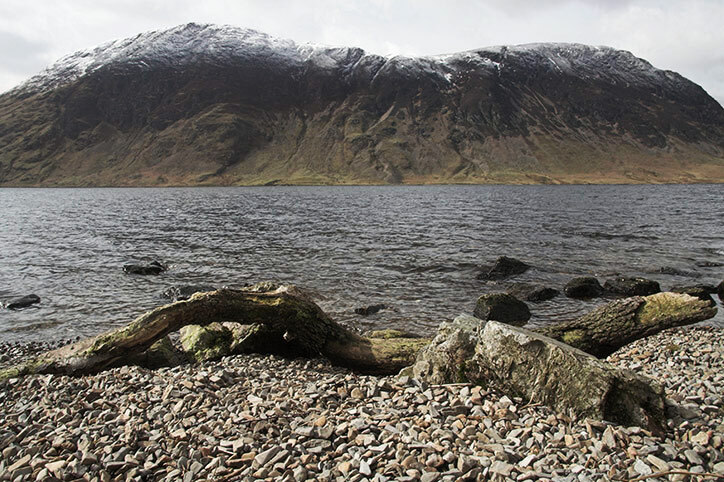 Walking along Crummock Water and admiring Loweswater Fell, I found some deadwood on the shores and took this shot. Unfortunately had to do some major photoshop work with this because the Canon 17-85mm lens had heaps of purple-fringing along Loweswater Fell.